Michael Mullen, SVP of corporate and government affairs at Heinz, is to take the same role at the new, enlarged business following its expected merger with Kraft that will create one of the world's largest food and drink companies. The proposed merger passed its final regulatory hurdle in Canada earlier this month, paving the way for the emergence of the Kraft Heinz Company, a business with revenue of around $28 billion that will own well-known brands including Heinz Ketchup, Maxwell House, Kool-Aid, Capri-Sun and Philadelphia. Heinz today announced the make up of the senior leadership team in the new organisation, which includes Mullen as SVP of corporate and government affairs. He will be responsible for leading internal and external comms, CSR and government affairs, the statement said. Mullen’s remit will also cover the company foundation, real estate and facilities. In addition, the company announced the promotion of Nina Barton, most recently VP of marketing for coffee, to SVP of marketing innovation, research and development. Meanwhile, Heinz announced the departure of Kraft executives Kim Rucker, EVP of corporate & legal affairs, general counsel and corporate secretary; and Jane Hilk, chief marketing officer and president, beverages & snack nuts. Both will leave upon completion of the merger or within 30 days. They are among a number of senior Kraft figures set to depart from the enlarged business. Mullen has been at Heinz since 1998, joining initially as senior manager of PR. The former Ketchum account supervisor currently works at Heinz’s headquarters in Pittsburgh, Pennsylvania. "Our new leadership team represents the best of the best in business with proven track records for delivering results," said Bernardo Hees, future CEO of the proposed Kraft Heinz Company. "I am thrilled that this world-class group of executives will join me to further strengthen our iconic brands with our industry-leading go-to-market strategies, innovation pipeline and global infrastructure." Mullen told PRWeek via email: "I am honored by the opportunity to be part of The Kraft Heinz Company’s management team under Bernardo’s dynamic leadership. After almost two decades working at Heinz, I can genuinely say that the past two years working with Bernardo have been some of the most exciting and fulfilling. 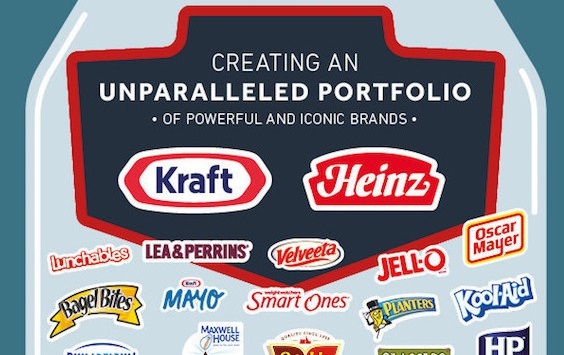 I look forward to partnering with Bernardo and the rest of the management team to take The Kraft Heinz Company to new heights by building the very best food company." The merger still requires the approval of Kraft shareholders, who will vote on it tomorrow (1 July). The new entity will own eight $1bn brands, and the companies have previously said it will mean more money for marketing and innovation. In April, PRWeek reported that Kraft Foods had promoted senior director Russ Dyer to VP of corporate affairs, prior to the announcement of the planned merger.